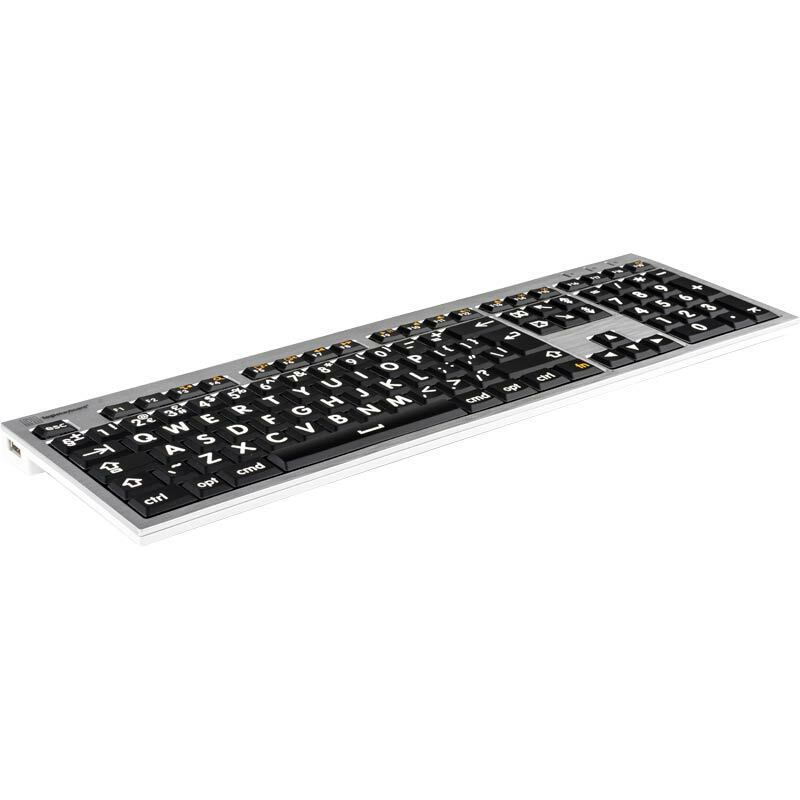 With a built-in chip made specifically for macOS®, the new ALBA Large Print keyboard is pure plug & play. No need for drivers and tedious setup. 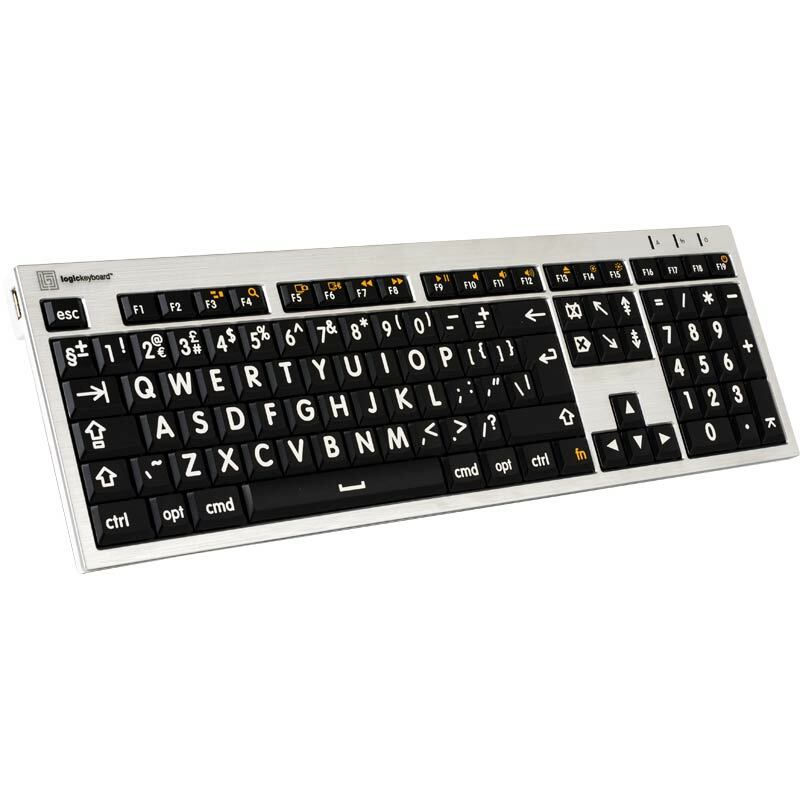 Our Large Print ALBA keyboard is a large character keyboard with high contrast lettering. 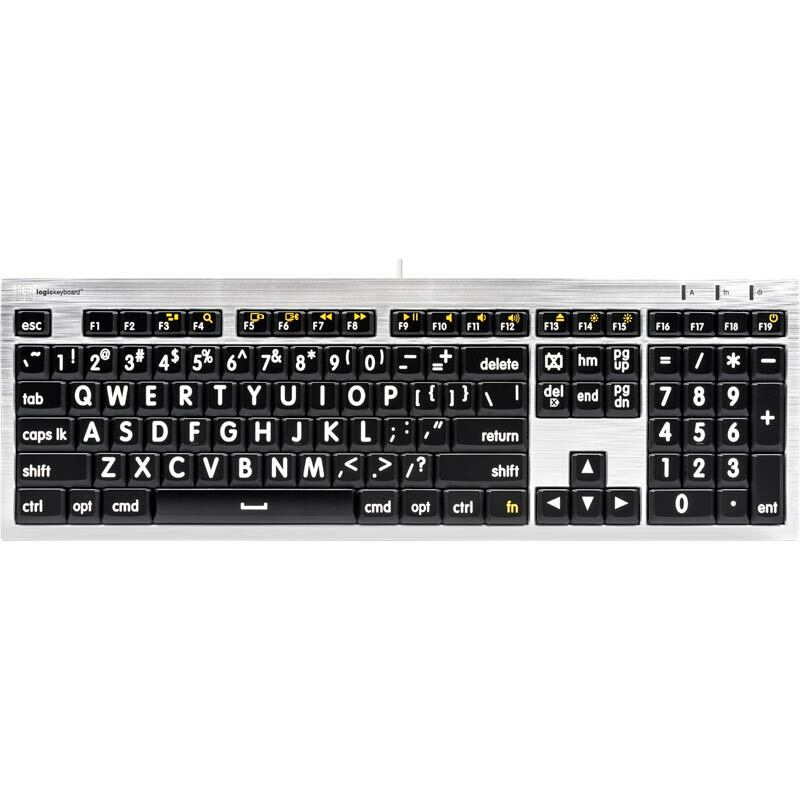 The keyboard is perfect for visually impaired and low visions people. We partnered with an ergonomic therapist to determine ALBA’s optimum angle. The solution: a typing angle of 8.5 degrees with leg lift, and 4.5 degrees without leg lift. 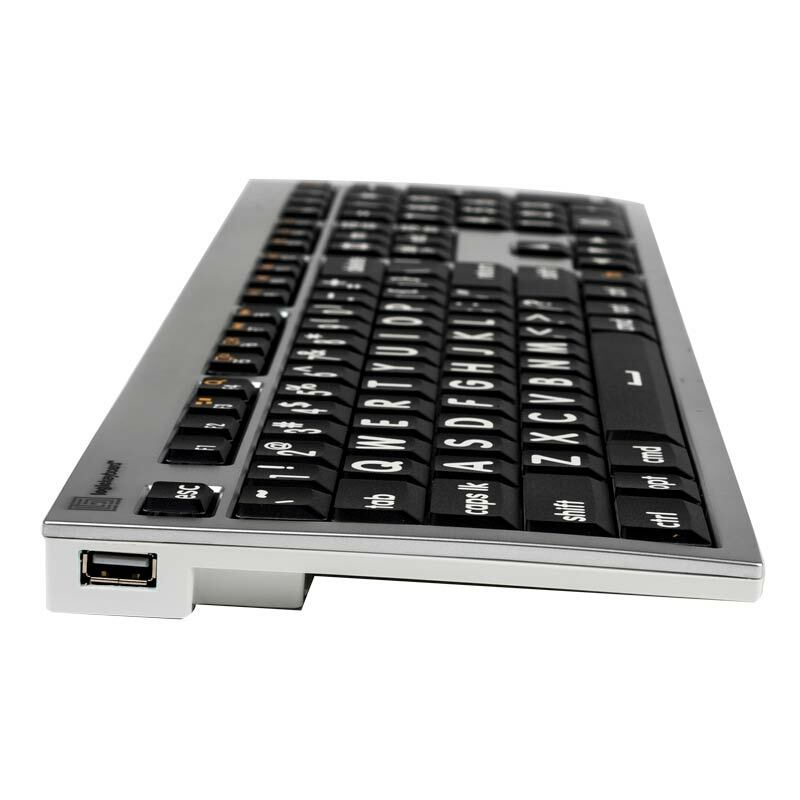 Key travel can't be too big or too small, so our new ALBA keyboard has what we believe is the perfect key travel: 4mm.